We NEED to talk about Lady Gaga’s sapphire engagement ring | SHEmazing! Lady Gaga is officially of the market, and we are delighted she's found love with major Hollywood agent fiancé Christian Carino. It's now time to focus on the MASSIVE ROCK that's been chilling on her finger for the last few months. 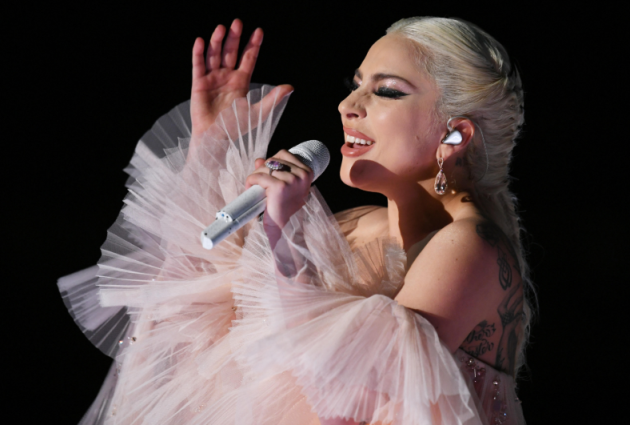 The A Star is Born lead and songstress has publicly confirmed her engagement at the Elle 25th Women in Hollywood event, where she gave an emotional speech about her experience as a woman in the industry and survivor of sexual assault. Lady Gaga and Christian Carino were first reported to be dating when they were spotted kissing after her 2017 Superbowl performance. The ring has been sitting on her finger for quite some time, but due to the fact that she has never addressed their relationship until now, the pink accessory was never assumed to be an engagement ring. She even wore it to the 2018 Grammy awards in January, probably assuming we'd all notice. According to the President of WP Diamonds, Andrew Brown, the pink bling is actually a sublime and rare type of jewel. He disclosed to E! that the stunning piece of jewellery a "6-7 carat pink sapphire with a diamond halo totalling 3-4 carats." It's also worth a reported whopping $-300'000- $400'000. Yep, pick your jaws up off the floor. That ring is serving us Pink Panther vibes 24/7, perfect for a woman as glam as Gaga. Diamonds are forever, which means Lady Gaga should be blessing us with her empowering presence for a long time.